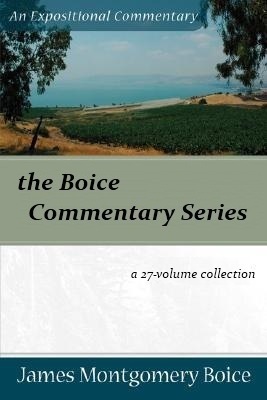 The Boice Commentary series combines careful scholarship and clear communication in a verse-by-verse and section by section reading of various biblical texts. Combining thoughtful interpretation with contemporary insight for daily living, James Montgomery Boice explains the meaning of the text and relates the text's concerns to the church, Christianity, and the world in which we live. Whether used for devotions, preaching, or teaching, this authoritative and thought-provoking series will appeal to a wide range of readers, from serious Bible students to the interested everyday Christian. This 27-volume collection provides excellent insight for the modern-day Christian lifestyle through over 26 books and letters of the Bible, in a commentary series that took over two-and-a-half decades worth of scholarship, research, and work. And finally, his commentary on the three Epistles of John.